Technopath Clinical Diagnostics and Westgard Inc. announce strategic partnership to provide quality control training and education services to customers around the world. 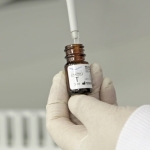 As part of Technopath Clinical Diagnostics (TCD) continuous investment in developing new products to meet evolving demands of the IVD market place, the company announced today, the launch of a new kit size of the i-plaq™ Test for Lp-PLA2, offering enhanced usability in a laboratory setting. Technopath Clinical Diagnostics (Technopath), a worldwide leader in the development and manufacture of total quality control (QC) solutions for clinical laboratories, and Beckman Coulter Diagnostics, a global leader in the clinical diagnostics industry, today announce the signing of a long-term supply and distribution agreement. 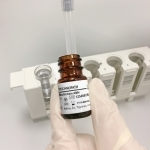 Under the agreement, Technopath will supply and enable Beckman Coulter to distribute the full range of Technopath Multichem QC products, including QC materials and its IAMQC data management solutions, in over 100 countries around the globe. Technopath Northwell Clinical Diagnostics, a joint venture between Technopath Clinical Diagnostics and Northwell Health, has just opened the doors of their new sales and distribution facility in Syosset, New York. TIPPERARY, IRELAND – (19 September 2017) - Technopath Clinical Diagnostics announce a joint venture agreement with Northwell Health, New York’s largest healthcare provider. Technopath Clinical Diagnostics is pleased to announce the launch of its new Multichem hsTn Control for both Troponin I (TnI) and Troponin T (TnT) assays.